How Many American Flags Are In First Man? Just How Patriotic Is First Man? First Man opened the Venice Film Festival to rapturous reviews, with critics transported by Damien Chazelle’s history of the first moon landing filtered through the perspective of first lunar walker Neil Armstrong. But not everyone was over the moon. Soon after the premiere, a (fake) news controversy started when the Telegraph ran an article wondering why the film doesn’t prominently feature the planting of the American flag on the lunar surface; Ryan Gosling, who plays Armstrong, responded, “I think this was widely regarded in the end as a human achievement [and] that’s how we chose to view it.” From there, Republican presidential primary loser Marco Rubio tweeted, “This is total lunacy…The American people paid for that mission, on rockets built by Americans,with American technology & carrying American astronauts. It wasn’t a UN mission.” Buzz Aldrin then subtweeted two photos of him and Armstrong planting the flag. For what it’s worth, Armstrong’s sons are unbothered: They helped introduce the film at the Toronto International Film Festival on Sunday at the Cinesphere, saying, “I’m here to tell you that [Chazelle and the producers] got it right. 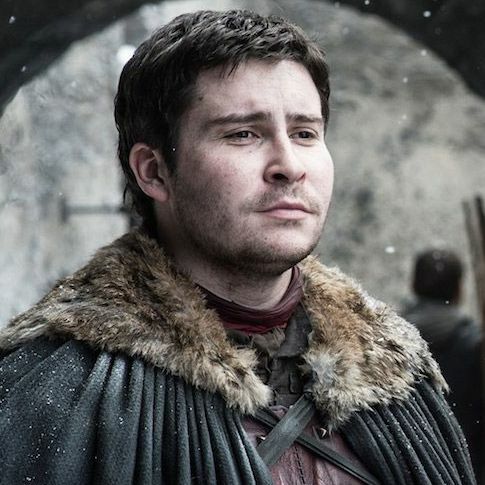 We would not be here today if they hadn’t.” We sat back and watched the movie on the big IMAX screen, meaning we could both marvel at the grand production value and assess the movie’s patriotism. So just how many flags are there in First Man? Is the movie indeed U.N. propaganda? Here’s the rundown for everyone arguing in bad faith. So how extremely unpatriotic and “America last” is First Man? It’s not! The focus of the film is certainly Neil Armstrong, and toggles between his family life — with his wife Janet (Claire Foy), their two sons Eric and Mark, and their deceased daughter Karen — and his career as an astronaut, starting with the Gemini program in the early ’60s and culminating with the Apollo 11 mission that made him the first man on the moon. But why are there NO FLAGS? There are plenty of flags! By our count, there are about a dozen different shots where you can see the American flag in all its old glory. The first time you see the flag is during a lush, sun-kissed scene, when one of Neil Armstrong’s sons hoists it up on a flagpole, and you can gaze upon its majesty. You’ll see American flag patches on the left shoulders of the astronauts’ uniforms, the body of the rocket, and on the lunar module Eagle. There’s a giant flag hanging behind Neil Armstrong, Buzz Aldrin, and Michael Collins during a press conference. Plus, there are flags everywhere after the moon landing: studded in a bouquet of flowers and crowds waving little flags. You can’t miss them! That could be Photoshop! But why don’t they show Neil Armstrong draping the American flag over the moon? Sir, that never happened. Armstrong and Aldrin do plant the American flag on the moon, and while you don’t see that act, you do get a glimpse of the flag planted on the lunar surface after a montage of Armstrong’s memories. The focus of the film is the sacrifice Armstrong made to achieve this historic feat. But isn’t it Communist propaganda? But what about MAGA hats? Well, Donald Trump’s campaign paraphernalia wouldn’t be historically accurate, but Ryan Gosling does wear a very red baseball cap that should please you. 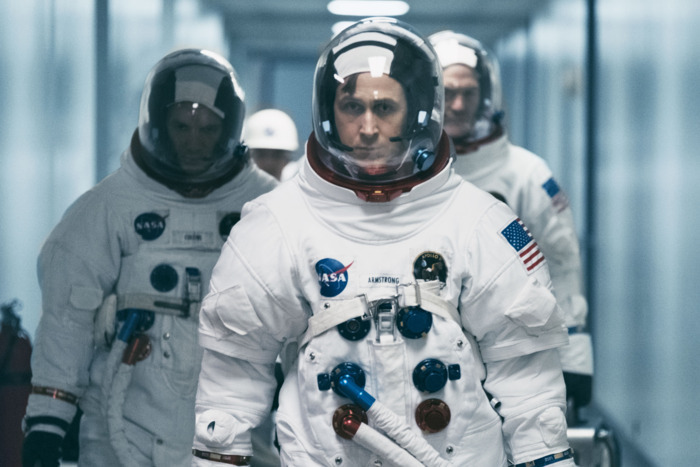 Overall, the costume design telegraphs the American flag: The astronaut suits have red-and-blue nozzles on them for that nationalistic vibe, and the civilian clothing is also steeped in reds, whites, and blues. Janet Armstrong wears a white shirt and long red skirt in a pivotal scene, and there’s another scene between Neil Armstrong and his son where he’s wearing a blue-and-white shirt and his son is wearing red. Together, they make a flag! I don’t care! I’m going to buy DVDs when First Man comes out and cut out Ryan Gosling’s face in protest! 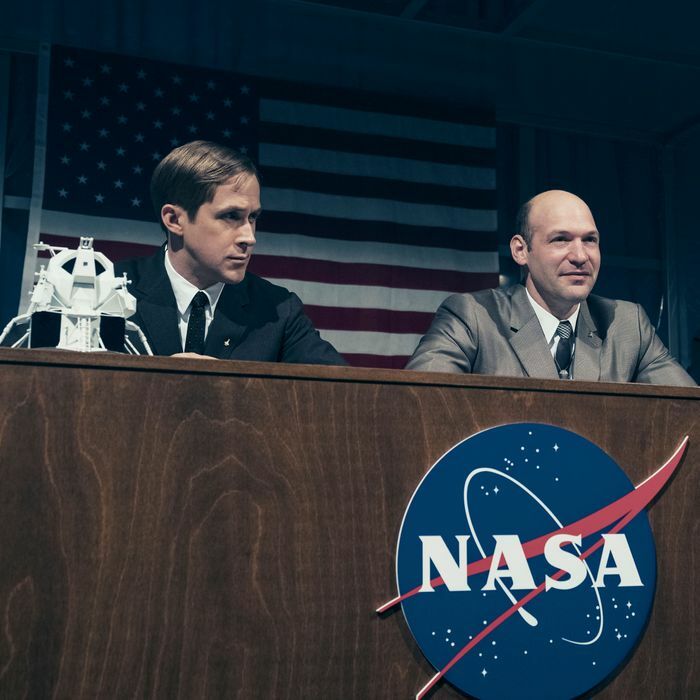 How Patriotic Is First Man?